Welcome to Roatan Eco Furniture! 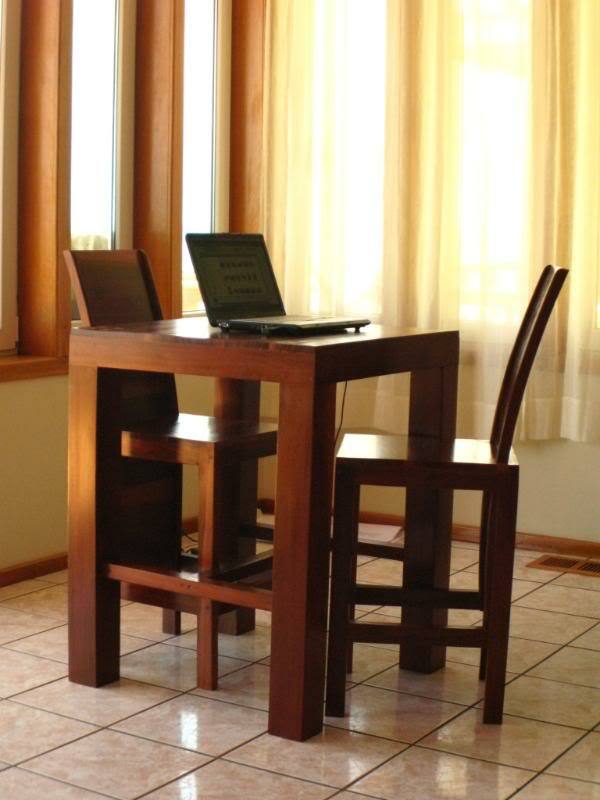 If you are interested in having custom Eco hardwood furniture built, please contact us today! We can come by for a free consultation and talk about outfitting your home, condo or office. We are a unique furniture company, located in Sandy Bay on the Island of Roatan. All our furniture is build up from our own ideas, our own designs and built here on the island. All the hardwood types we use are coming from regenerating forests in Honduras. (click here to see wood samples). Please take the time to look through the various areas of our website. You can choose out of our existing designs if they appeal to you, or we can make a custom design that suits your home and your style. You can choose from many species of wood, different colors of tint and all types of finish. We are always building new furniture and adding new ideas to our portfolio. Also take a moment to look at the items that we have in stock now, ready for delivery today! Please Contact us at any time! We look forward to hearing from you. CLICK HERE TO SEE THE ITEMS WE HAVE IN STOCK NOW!! Copyright 2010 Roatan Eco Furniture. All rights reserved.